In order to approve a budget and expand Medicaid, legislators will need to have their plan drafted by July 1 or the state will experience its first government shutdown. This week’s two-hour special session focused primarily on procedural moves. The next step will be to address Governor Ralph Northam’s (D) newly proposed budget bill that he presented in between the sessions. It will make its way through the House and Senate finance committees and then onto the chambers for voting. Finally, a conference will be held to sort out any remaining details between the House and Senate. It will require two Republicans to pass Medicaid expansion within the Senate; however, only one vote from Republicans is required to pass it in the form of a budget amendment. 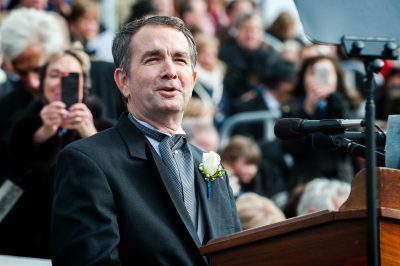 According to Governor Northam’s projections, savings due to Medicaid expansion will be around $421 million. The House would like to see funds invested into education, raises for teachers, and other areas so they estimate the savings from expansion to be closer to $307 million as a result of varying start dates. In the past, Virginia’s Republican representatives have not supported Medicaid expansion, but in recent months it’s starting to look like that will change. While the Republican Senate did not hold elections last year, the chamber nearly lost its majority to Democrats in November. As a result of the coming elections and the need for support from voters to retain control of the House, Republicans are now making efforts to convert Republican opposition to support Medicaid expansion.